Last night the clocks went back and many of you (most likely those with older or non existent children) may be basking in the hazy glow of a lazy extra hour in bed. Oh how fond yet distant a memory that seems. Now, as we ease into autumn proper with a nearly nine month old in our lives, an hour’s time difference means we may well be woken the wrong side of 6am for the next few days as Nino adjusts to his new routine. Whether you’ve enjoyed a lie in or (been) woken earlier than you’d like, Sundays in my mind are made for moving a little more slowly and eating a little too much. At this time of year, I begin to crave roasts again but there’s just enough warmth and sunshine in the air that a heavy autumnal pud isn’t always in order. 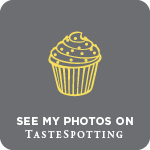 I’ve always said that ice cream just for summer and I love using it as a vehicle to lighten a more traditional dessert – think treacle tart, gingerbread or a nutty homemade crumble. 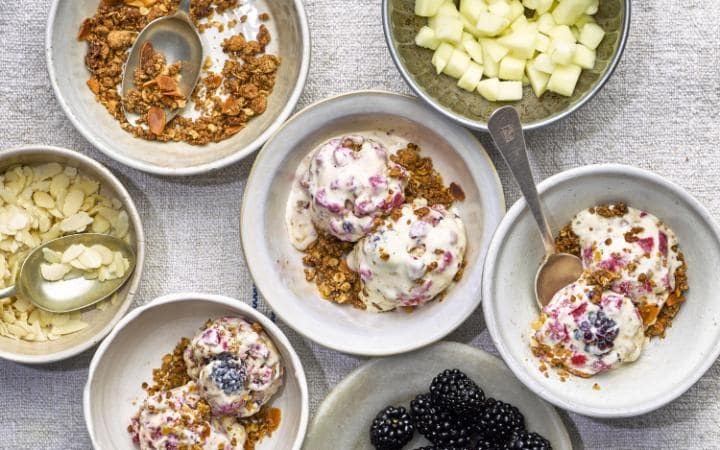 I worked with Cuisinart to create this blackberry and apple crumble ice cream as part of their Sunday Best series in The Telegraph. The recipe was published in Stella magazine and you can find it online here. Such a yummy flavour! Heading over for the recipe now! the time didn’t change. you scared me!